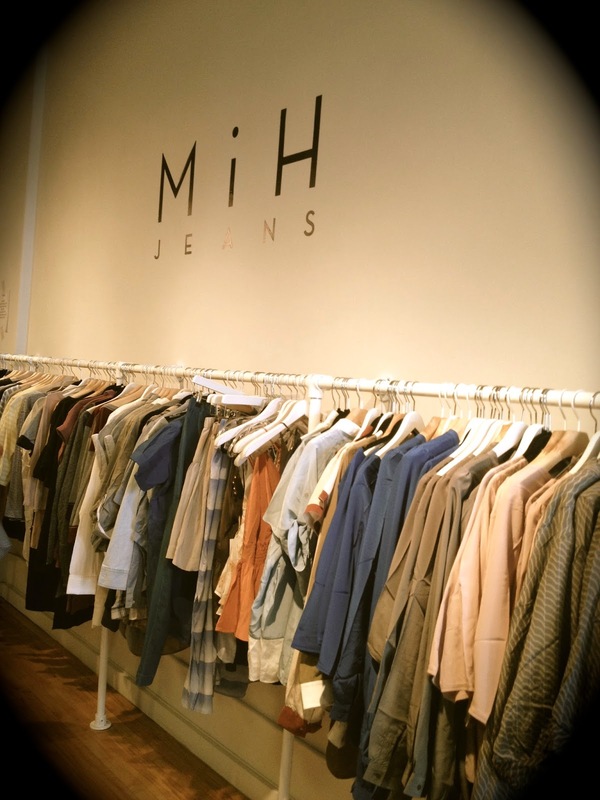 I checked out the MiH sample sale yesterday. Here's my review for Racked. At last year sale, I went home with a chambray shirt, a sheer top and a pair of dark indigo jeans. This time around, I behaved and did not buy a single thing. I also could not find any jeans in my size. I fit in size 28 in MiH jeans. Their jeans fit small (I usually wear 27) and lately, I have been having trouble fitting into my owns jeans so with most of the jeans being size 26, I was out of luck. Or should I say, lucky for my wallet to stay plump!